In The Economics Anti-Textbook (pp.165-166), we briefly point to the on-going destruction of the world's fisheries, carried out at public expense. 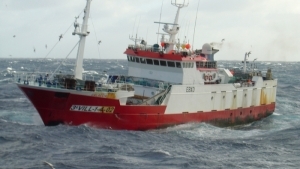 Here are some good new reports on the subject, looking at enormous EU subsidies to the Spanish fishing fleet (and misbehaviour by the industry). The source, the International Consortium of Investigative Journalists, is well worth keeping an eye on, given the dearth of investigative reporting in the corporate media.